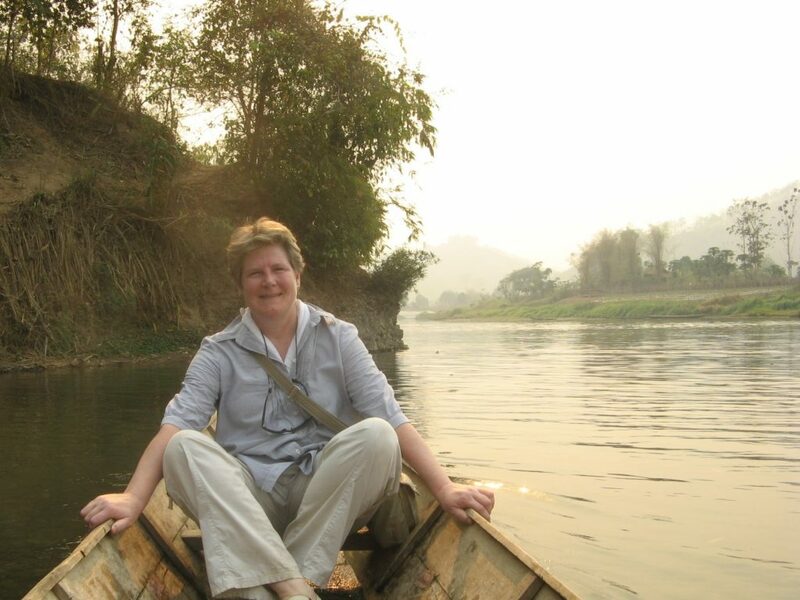 In 2009, Sally was on holiday in Luang Prabang, Lao PDR with her husband. As is custom when on holiday, they always try to give back something to the local community. This time, they visited Khmu village school with supplies and fruit for every child and asked what else they may need. That is when the village head uttered his unforgettable words about toilets. Sally returned in 2010 with money that she and her husband had saved throughout the year. She found Lao partners to help build toilets for the primary school and to also lay 7 kilometres of pipes from a plentiful source in the mountains to the renovated concrete tank at the top of the village, all this fed by gravity. Sally and the educators of the Luang Prabang Library Outreach Programme put together a hygiene awareness project, to inform and encourage the village children and their parents in the 3 key hygiene practices: drink clean water, use a toilet and wash hands with soap. With these simple changes, the rate of diarrhoea dropped dramatically and well being improved in the village. 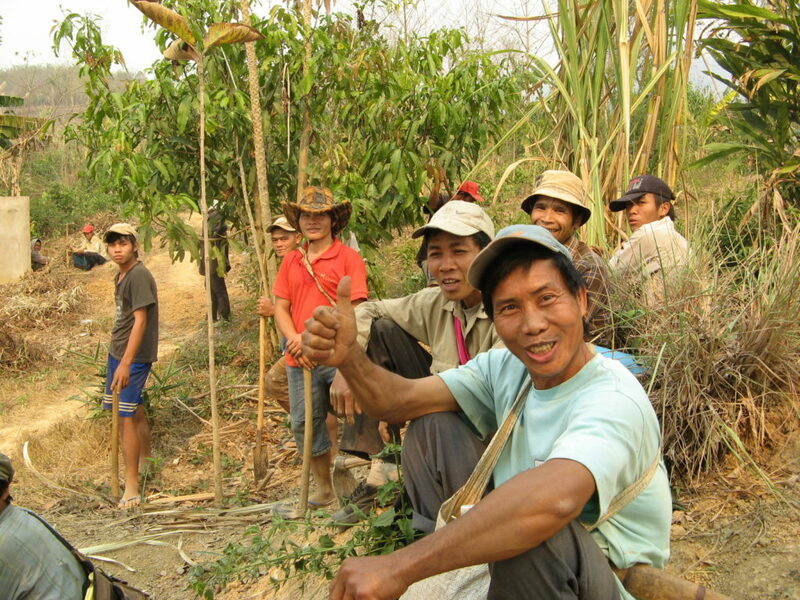 Sally then set up the non-profit, Eau Laos Solidarité (ELS), registered in France where she lives. She went to university, got her Masters in Community WASH for low income countries, and started fundraising. The library team went on to teach key hygiene practices to every one of the 120 primary schools visited by the Library Boat. ELS continued to support communities to install water and toilets into schools and trained kids and teachers in key hygiene practices. They also wrote a book, “I love a Clean School” which was distributed to 5000 rural kids. They even created a puppet show about it! Lao teachers asked Sally if she could write a book for girls about puberty. There was no book in the Lao language that explained the process and teachers themselves were vague on the subject. Sally had done her MSc thesis in Menstrual Hygiene Management in Malawi and was keen to use her expertise in Laos. The Lao Girls Teen Project was born. Our baseline study showed a deplorable lack of knowledge about puberty, menstrual hygiene and its management. Not only were teen girls unaware that they would menstruate, the taboo around the subject meant they did not tell anybody when they did, resulting in poor personal hygiene, anxiety, even shock and the belief that they had cancer. Some Laos ethnic groups held the belief that periods meant that a girl was ready for marriage and Laos has one of the highest teenage pregnancy and maternal mortality rates in SE Asia. Some were pulled out of school, leaving girls with no prospects except becoming a teen mother. 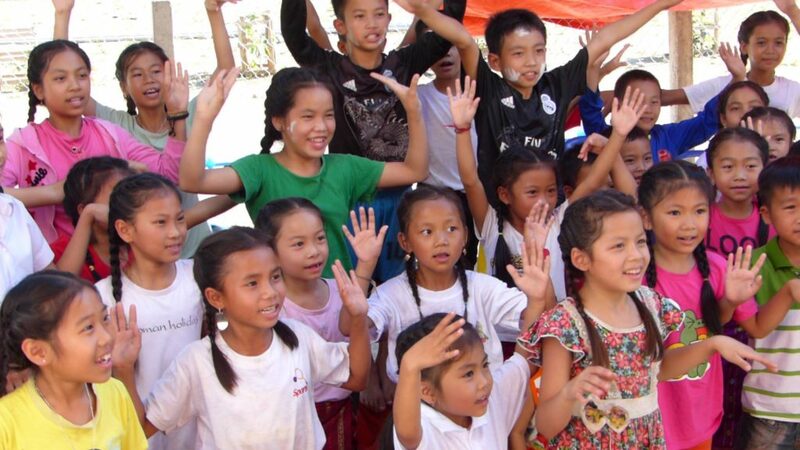 In 2016 we took over the sponsorship of a rural community learning centre, 3 hours’ drive from Luang Prabang in PakXeng, managed by the dynamic Madame Bai. There are no extra-curricular activities in rural schools and now at the community centre kids can learn Lao dance and music, drama, reading, English and cooking. These kids are lively and inquisitive; years ahead of their counterparts who don’t have this opportunity. Madame Bai was eager to extend the activities to other members of the community so we brought in young volunteers from Luang Prabang Library for workshops on dance, games, hygiene, and nutrition. We joined forces with the Mother and Baby Clinic and Lao Women’s Union to train a Rural Knowledge Team. These energetic women go into remote mountain villages to deliver wellness workshops on male & female reproduction, nutrition and basic hygiene. We also distribute washable menstrual pads to women who up to now have been using rags to absorb menstrual blood.